Privacy Notice | Lancaster Haskins Ltd. This notice describes how we collect and use personal data about you, in accordance with the General Data Protection Regulation (GDPR), the Data Protection Act 1998/2018 and any other national implementing laws, regulations and secondary legislation, as amended or updated from time to time, in the UK ('Data Protection Legislation'). Lancaster Haskins Limited (trading as Lancaster Haskins, Lancaster & Co. and Haskins & Co.) is a chartered accountancy, tax advisory firm and registered auditor. We are registered in England and Wales as a limited company under number: 09440560 and our registered office is at Granville House, 2 Tettenhall Road, Wolverhampton, West Midlands WV1 4SB. "Third parties" includes third-party service providers. The following activities are carried out by third-party service providers: IT and cloud services. If you want to exercise any of the above rights, please email our data protection point of contact at dataprotection@lancaster-haskins.co.uk. In the limited circumstances where you may have provided your consent to the collection, processing and transfer of your personal data for a specific purpose (for example, in relation to direct marketing that you have indicated you would like to receive from us), you have the right to withdraw your consent for that specific processing at any time. To withdraw your consent, please email our data protection point of contact at dataprotection@lancaster-haskins.co.uk . Any changes we may make to our privacy notice in the future will be updated on our website and available for you to access at www.lancaster-haskins.co.uk under the privacy section. This privacy notice was last updated on 25th May 2018. If you have any questions regarding this notice or if you would like to speak to us about the manner in which we process your personal data, please email our Data Protection Officer at dataprotection@lancaster-haskins.co.uk or telephone our Data Protection Officer on (01902) 424261. The Chancellor Philip Hammond delivered his budget yesterday and joked that he had avoided giving his speech on Halloween itself as it would have been too tempting for the caption writers. The Government remains committed to the start of the roll out of Making Tax Digital (MTD) in April 2019 and the legislation to implement the changes is contained in the draft Finance Bill. Lancaster Haskins Ltd is a limited company registered in England and Wales at Granville House, 2 Tettenhall Road, Wolverhampton, WV1 4SB under company number 09440560, VAT number GB100873012. 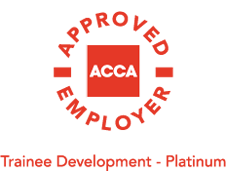 We are regulated to carry on audit work and regulated for a range of investment business activities by the Institute of chartered Accountants in England and Wales.